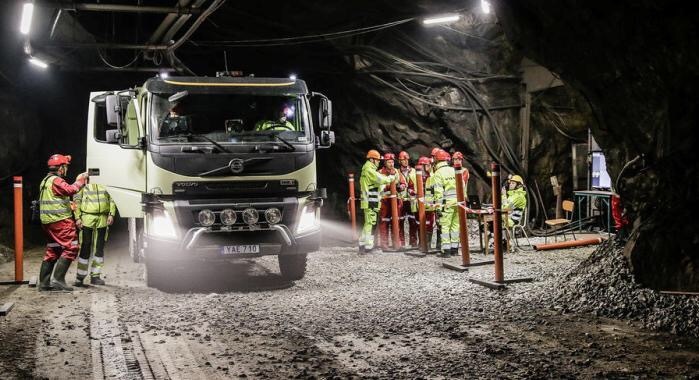 Swedish truck maker Volvo is the first manufacturer in the world to introduce a fully autonomous truck into an underground working environment. The company’s FMX tipper has begun full scale testing at the Boliden mine in Kristineberg, Sweden, where it will be tested inside the earth at a distance of up to four miles into the mine, and a depth of 4,330 feet (1,320m). This entry was posted in automotive and tagged autonomous, chrismacgowan, christopher macgowan, truck, volvo. Bookmark the permalink.